Executed largely in spray paint with an instantly recognizable street art style, Hebru Brantley’s artistic lexicon of children escaping or taking on superhero identities gains more urgency and relevancy as violence continues to roil Chicago’s neighborhoods, while the city battles with its teachers and closes schools in the most vulnerable neighborhoods. Comparisons to Basquiat are overused when discussing artists incorporating graffiti elements but in Brantley’s case they’re apt, as he regularly includes tributes or references to that pioneer of graffiti art. 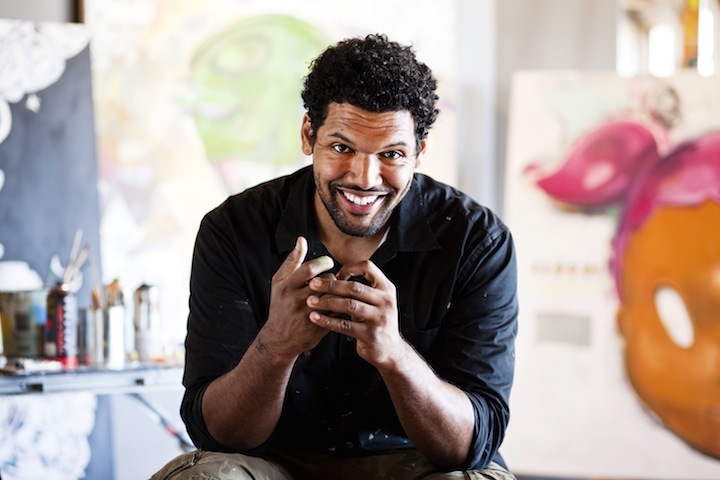 Showing his work in Chicago at the street art-inflected galleries, Brantley has made some of his biggest moves by carving his own path largely outside of the gallery system and the traditional art world. By maintaining an active social media presence, Brantley has cultivated a large network of fans and bypassed the commissions of galleries with direct sales generated through those networks. 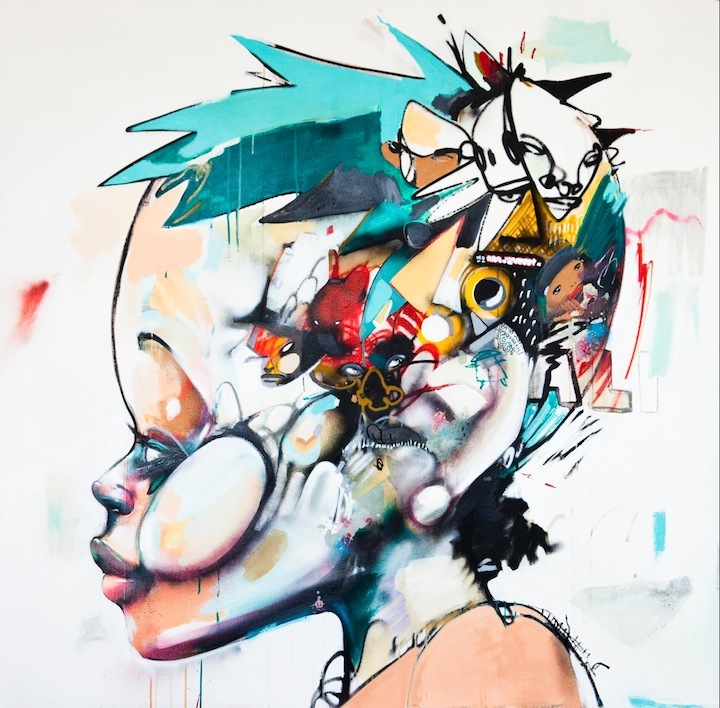 With a number of recent high-profile purchases, commissions and contest successes the artist has attracted a lot of media attention outside the usual art press including an essay on his work by hip-hop star Lupe Fiasco. It was the sale of his canvas “Everyone’s Scared” to Jay-Z and Béyonce for $20,000 at the Scope Art Fair that really made national headlines. The artist celebrated his birthday in early April with a party that featured the legendary Q-Tip on the turntables. Now, how many Chicago artists can claim that? hebrubrantley.com.